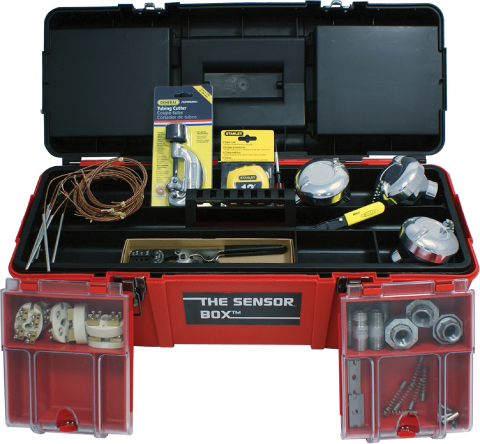 The Sensor Box™ can be your solution to expediting, high inventory and expensive downtime. 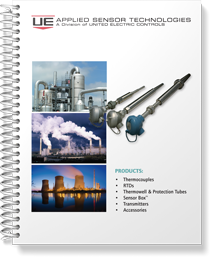 One of the challenges in maintaining industrial temperature sensors is the variety. It is difficult for the typical process plant to stock every sensor configuration they might need to replace – until now. By combining common parts into a modular system, a relatively small amount of stock can translate into the variety you need – quickly, and without expediting. 3:00 PM on a Friday afternoon, and you’ve just discovered a temperature sensor has failed in an important process. The Safety Engineer wants the process shut down, but you’re under pressure to keep production moving. You’re going to spend the rest of the afternoon in “Panic Mode,” calling every sensor supplier you can think of, begging for the best delivery at a premium. Not very pretty. If this sounds familiar, then the SENSOR BOX™ was developed to help improve your life. 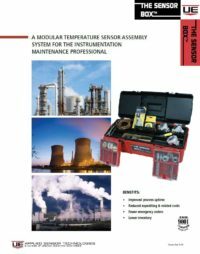 Maintenance or instrument technicians can now build a new temperature sensor assembly, install it and the plant can be back up and running in minutes rather than days! The SENSOR BOX™ is designed for any plant where temperature sensors are an important part of the operation, and downtime is not an option. ​Comprehensive – It can include a variety of sensor types and hardware of your choice. ​Self-contained – Everything you need to build the right product is at your fingertips. 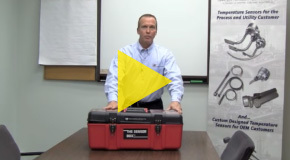 ​Industrial – The toolbox and tools are rugged, designed for hard duty. ​Easy to use – Complete, easy to follow instructions are included. 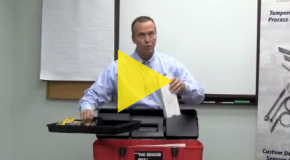 The Sensor Box™ can be customized in many ways to meet your specific needs.